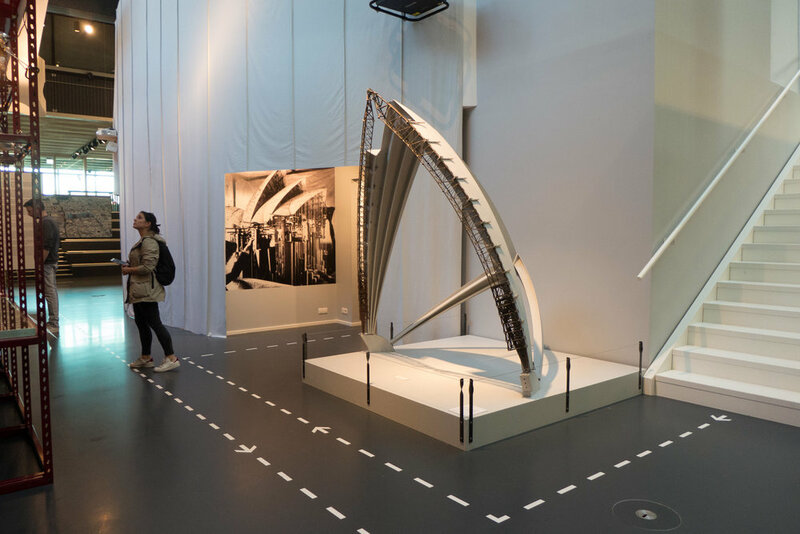 This is the second major exhibition at the new Danish Architecture Centre and covers both the early life of Ove Arup and then the major projects around the World of the design and engineering company that he founded in London in 1946. There are profiles of the major engineering projects they have completed including the Sydney Opera House and the Pompidou Centre in Paris with models, drawings, films, interviews and historic photographs. The story is continued through to current projects including work by the Arup Sound Lab. Arup were the consultant engineers for the road and rail bridge over the sound between Copenhagen and Malmö and for the design and construction of the new building for the Danish Architecture Centre.